It's been so busy at My Love for Paris recently but it's all been very worth it as we are super excited to announce our collaboration with Voyjer to help create personalised and customised itineraries for your next trip to Paris..! The fantastic service provided at Voyjer calls on their invaluable network of local bloggers and experts around the world to help plan an itinerary that will accommodate everything about you. Your interests, your length of stay, your budget, your travelling group. Whether it's a romantic getaway for two or a fun family trip for five, I can put something together to help make the most of your time in Paris, just like what I have been doing for the last few years ever since my first friend passed through Paris and asked me what she should do. She was the first of 40 visitors I had over the first 18 months of moving to Paris. The best thing about the Voyjer concept is that we are all locals in the area. I will recommend you things based what you tell us, what you request, what you like. I don't accept any commission from companies nor receive free meals or anything. I recommend it, just because well, I recommend it. I'll also let you know if something can be planned in a way in order to save time, money and/or effort (based on what I have learnt from my time/money/effort-wasting experiences of the past!). Here's the story behind Voyjer, told by CEO and co-founder Yoni Passwell, traveller and expatriate through and through. It was my 40th birthday, it was time to make a dream come true, and in my case it was a trip to Japan! I headed out to the task of planning it all, easy, right? I have a PhD in googling (is there such a thing? there should be! ), well after a WEEK of searching every website I could find, I was beat! Finding what we wanted was crazily impossible, we were going for one week, with 3 kids, and wanted a right mix of nature and in city fun. What I couldn’t accomplish in a week of browsing dozens of websites, my dear friend Takei San, did in 10 minutes. He laid it all out for us on a piece of paper, and then sent me a couple of emails and we were done! Do you want to know how it was? It was AMAZING! 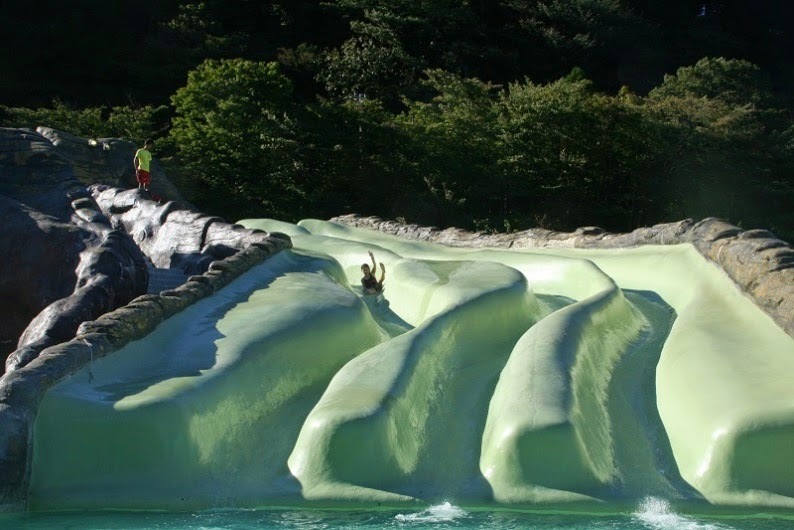 Below is a picture of a place recommended by Takei San, that’s my daughter on the slide, what you can’t see is that the water in the slide is hot! (I’m talking bath tub hot!). We spent half a day in this place for the experience of a lifetime (we were the only non Japanese tourists there). Then came the “Aha! !” moment, why can’t I have a Takei San for every trip? Better yet, why can’t everyone have a Takei San? That’s why and when Voyjer was born! Voyjer is a platform for planning your next trip. Want to find the best places to eat, sights to go to, and stuff to do? Instead of searching the web for hours, trying to find that needle in a haystack, just ask a local! After all, if you were visiting a friend, you would ask that friend what to do. Right? Very simple, you describe your trip (when? where? who? what? how much? ), we then match you with a local expert that sends you a sample of their work (suitable for you), once you buy the service you get a full detailed day to day plan for your trip. 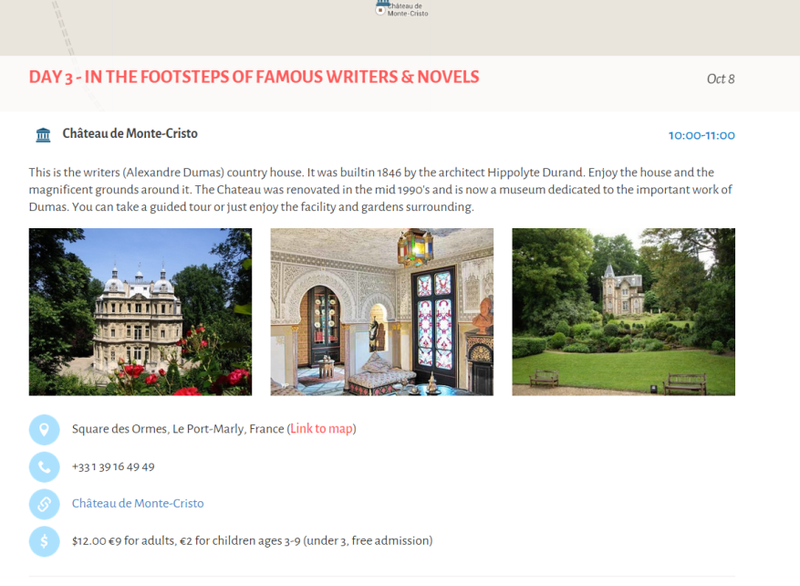 You can also book activities offered by your local expert or by other vendors. This is a sample of what you get; you can take this and go out on your day of travels, complete with instructions on how to get from one place to the other and detailed information on each attraction along the way. Who are the local experts? These are people that are of course local (duh!) but know a thing a two about hospitality in their city. We describe it like this: if you had guests for a week, would you know to tell them where to go? If the answer is a YES! Then you are probably suitable to become an expert. Voyjer is currently live for Paris & Israel, we are expanding to new places all the time, come visit us: www.voyjer.com and plan your next trip, easy! Visit my profile at Voyjer here and view my sample one day itinerary here. I can't wait to help you or someone you know customise and personalise your or their next trip to Paris..!